She's little and she's cute and she's ever so squishable. She has bouncy fluffy curls you just want to ruffle. You want to swoop in and smother her with cuddles. You want a hug when you arrive and a kiss when you leave. And I'm fine with that if she's fine with that. But it has to be her choice. If you ask her "Can I have a cuddle? ", usually she'll say yes. Usually, she'll go to you and give you a hug. Or at least a high five. 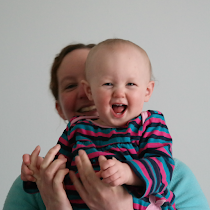 Happy smiles all round. Sometimes she'll say no and it will hurt your feelings. But, you know what? That's okay. You're a grown up. You'll recover. You asked and she didn't feel happy accepting and it's her right to decide who gets her touch her and when. If you don't ask, I guarantee she'll back away. If you loom down over her, grabbing at her for kisses, she's going to hide herself behind my legs. As well she might. As well you might, if somebody twice your size was towering over you, smothering you with their size, trying to touch you in a way which has suddenly caused you panic. You do have to ask. Kids' bodies are not there to please grown ups. They're just not. No matter how much you want to cuddle them. They are little human beings and they should get to decide who they are physically affectionate towards, just like big human beings should, too. 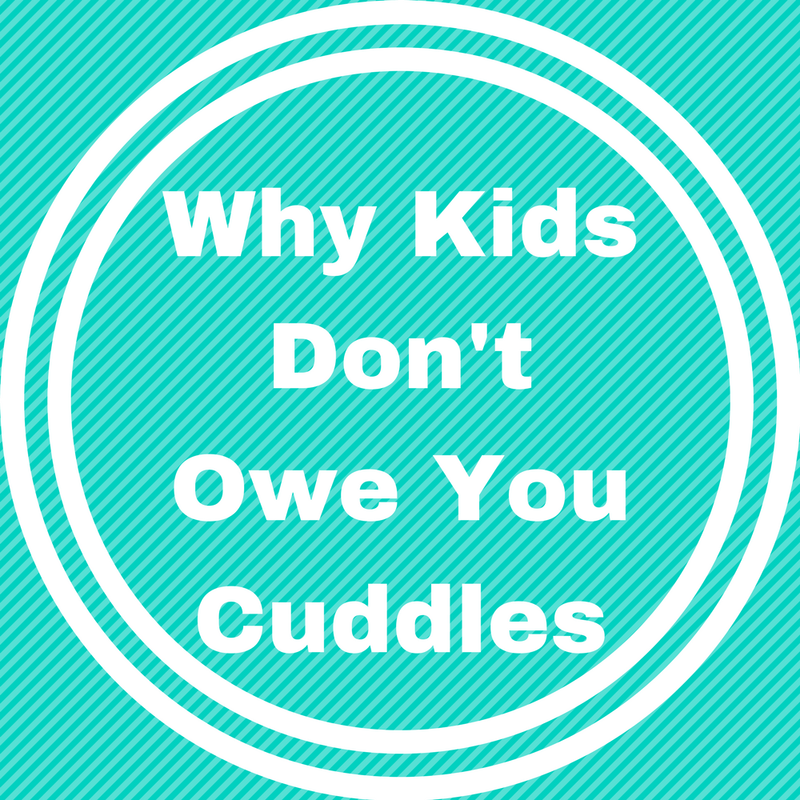 I don't want my child to ever feel she owes anybody physical contact. I don't want her to feel that, because somebody was nice to her, she must use her body to be nice in return. I don't want her to learn that it's rude to pull away if somebody touches her in a way she doesn't like. Those are not lessons for girls to take into their teenage years. Those are not lessons for women to take into workplaces. We should all believe that when we tell someone, "No, I don't want you to touch me," our words will be met with respect. Your uninvited hug isn't harmless if it teaches her that good manners involve being held in a way she doesn't want. Yes, you really, really want to hug her. Hugs feel lovely. Hugs make us feel cherished. Hugs are special. And that's why, when somebody my daughter likes and trusts asks her for a cuddle, she usually says yes. Because hugs feel lovely to her, too. Hugs make her feel cherished. Hugs are special. If she likes your company, she'll usually like your cuddles. But give her the space to decide for herself. When you push her, you push her away.